A classical pattern with a modern twist for these houndstooth socks by Emilio Cavallini. 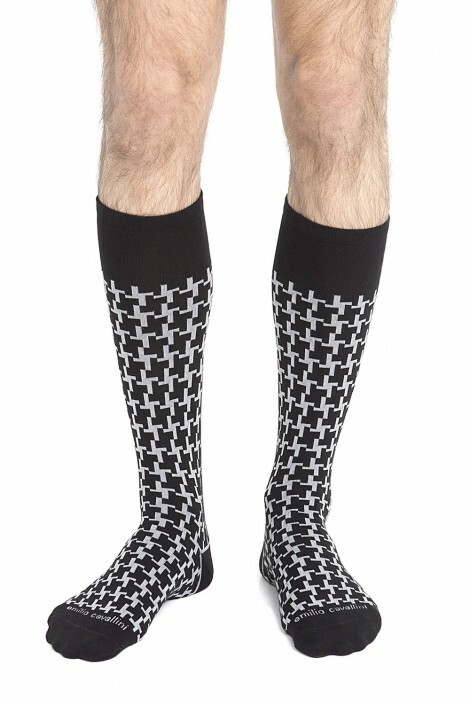 The optical effect given by the geometrical pattern, makes these men's socks an extremely stylish yet simple accessory that will give your outfit an unmistakable character. Pair them with black cropped trousers for a cutting-edge look.